2.1 What is it like day to day? 2.2 What’s the difference between a web designer and a web developer? 2.3 What are the major stages of this career? 6 Who should consider this option? Web designers create the look and layout of web pages. Their skills are in-demand in many types of organizations, from charities to startups, giving you flexibility to work on high impact projects. As a backup, you can enter paths with good pay, like UX design ($80k median salary), and earn to give. However, good design is hard to measure, which makes it hard to prove your abilities to potential employers, meaning entry and progression can be difficult. You should consider web design if you studied graphic design or a related field, you’ve already spent several years developing good taste in web-design and you have strong persuasion skills that enable you to get a foot in the door when you’re starting out. However if you have the technical skills to do web development, we recommend you do that instead, since it has higher pay, more jobs and entry and progression is easier. • Useful skillset that can be used to work directly on a wide range of important problems. • Freelance and remote work widely available. • Good outlook (similar to web-developers). • Fall back option to earn to give by transitioning into higher paid UX design (median salary ~$80,000). • Entry and progression can be difficult because good design is hard to measure. 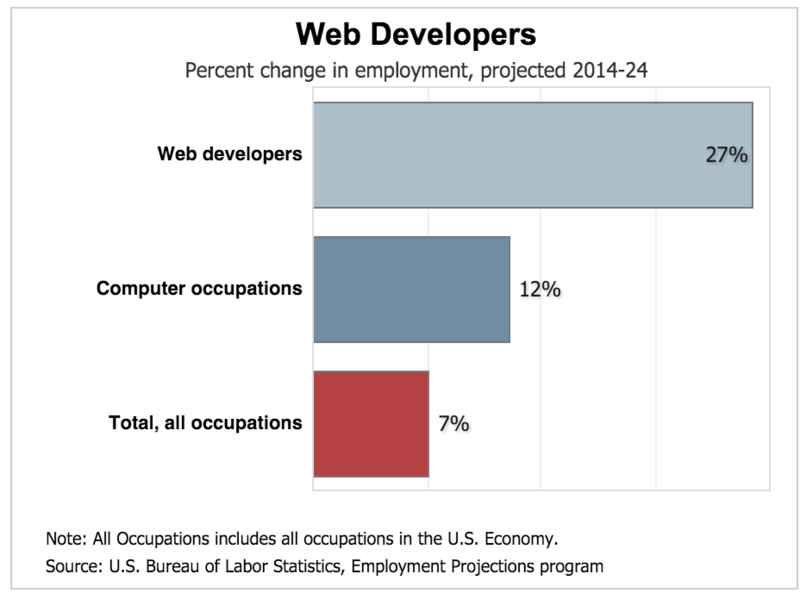 • Salaries, number of jobs and job growth rate lower than in web-development, so if that’s open to you, consider going into web development. Visual arts background, well developed taste in web design informed by feedback from other designers, strong communication skills, good at persuasion and negotiation. Learn basic design skills. The best online resource we found is HackDesign. Apply widely to jobs and prepare for the main parts of designer interviews. Web designers create the look and feel of web pages and associated apps. Their goal is to make websites easy to use and aesthetically pleasing. Web designers combine graphic design with technical knowledge of how to implement their design in webpages. On the graphic design front, they choose the style, fonts and layout of web pages, and create images and graphics (for example logos, icons, buttons and navigation elements). One of the most interesting and satisfying parts of the job is figuring out what’s important, and then coming up with a simple, elegant hierarchy. To make good choices, a web designer needs a decent understanding of the business and its customers. To see the results of web designers’ work, check out a list best website designs of 2015. Check out profiles of typical ‘days in the life’ of freelance web designers. To see what the work is like once you’re more senior, check out a day in the life of a UI design manager at AirBNB. After 4-5 years you can get promoted to senior web designer. This involves overseeing the entire design of a site from start to finish and managing the work of other web designers. A relatively lucrative and growing role that some web designers transition into is user experience design (UX design). This involves not only visual design but creating all the elements that contribute to a user’s experience when using a website or app. Read more: UI, UX: Who Does What? A Designer’s Guide To The Tech Industry. 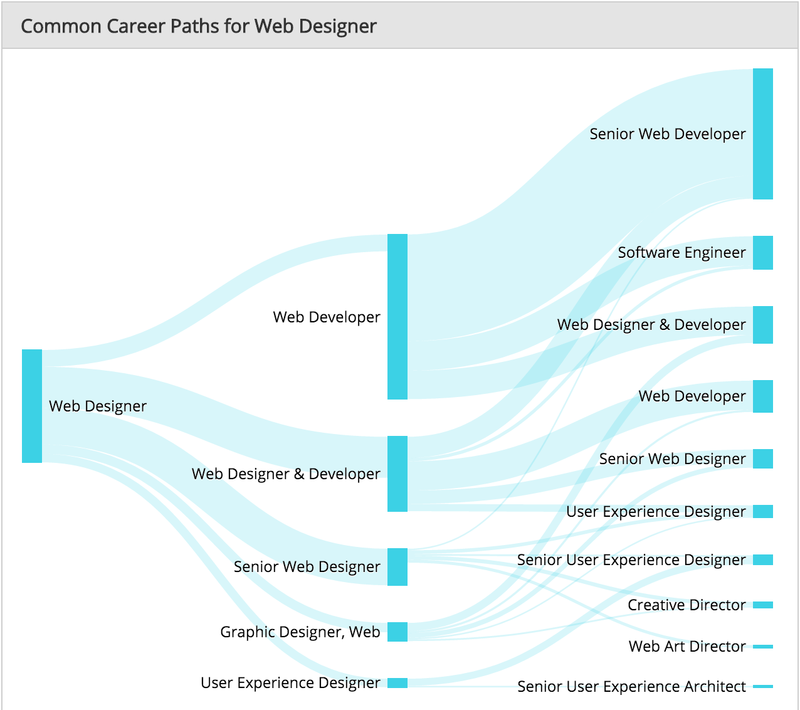 Those who are more technically inclined can focus more on the web development side of the role, though for these people it’s probably better to start off in web development (the pay is higher, there are more jobs, and higher projected job growth) and then learn design skills as they go. Web design is a skill that’s in-demand in many types of organisations, from charities to startups, giving you great flexibility and the opportunity to work on high impact projects. Government departments, such as Obama’s US Digital Service and 18F or the UK’s Government Digital Service. Effective non-profits, such as those recommended by GiveWell, Giving What We Can and The Life you Can Save. Innovative for-profits, such as Google, which now has seven products with over one billion monthly active users (Search, Gmail, Android, Chrome, Google Play, Maps and Youtube)1, or AirBnB. For-profits focused on the global poor, such as Sendwave. Freelance work is widely available. Remote work is mainly common in tech companies. This gives you greater flexibility to use your time outside work for other high-impact projects and even relocate to a place where you want to volunteer on a project. You can work remotely to lower your cost of living and increase your donatable income, or reduce your working hours to free up more time for side projects. You can find remote web designer jobs here. 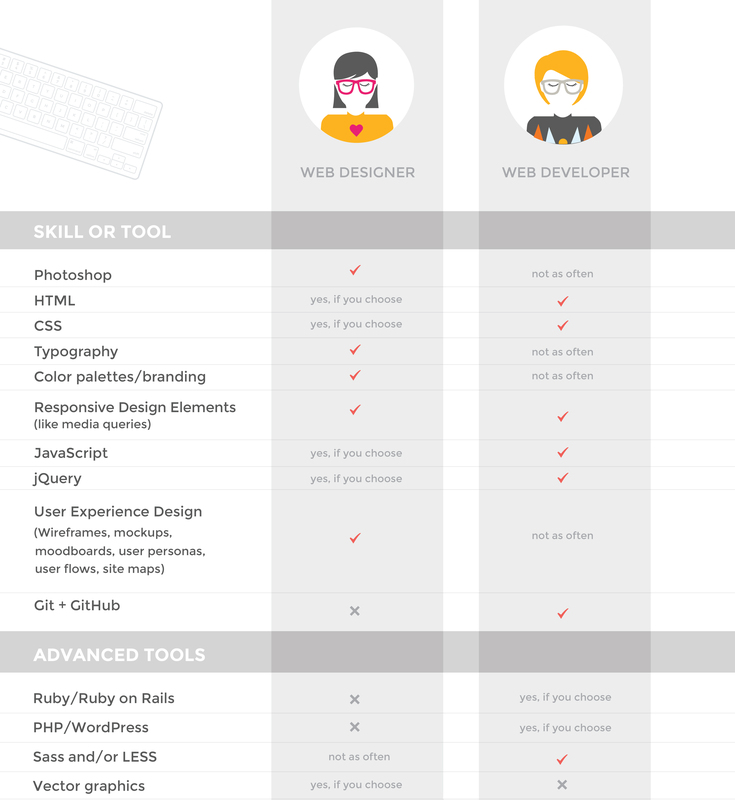 If you’re a bit weaker technically than web developers, but better visually, then consider becoming a hybrid designer and developer. This opens up a lot of positions in small organisations. Read more The Unicorn: Hybrid Designer + Developer. 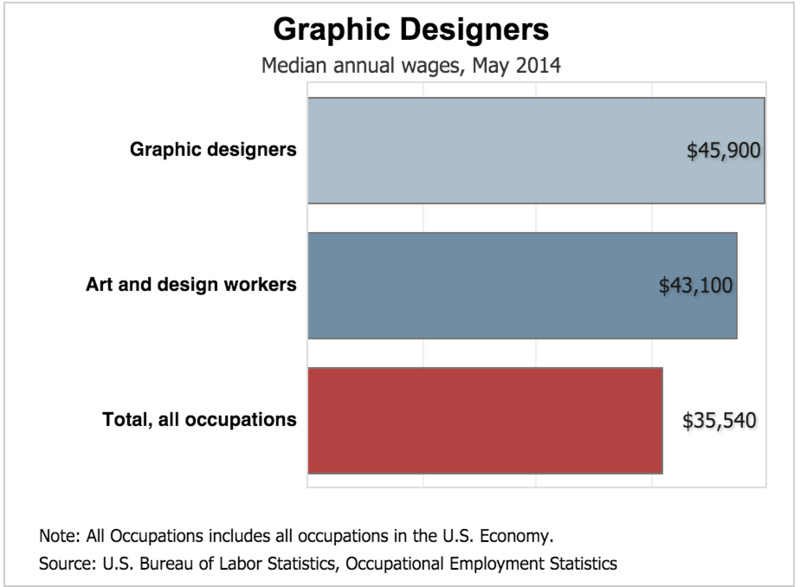 Web designer salaries are reasonable – the median in the US is around $55,000 (see more on salaries below). As a backup to direct work, you could move into UX design, where the median is around $80,000, and earn to give. Salary.com, which is generally less reliable than government data, has the median salary including bonus for web designers as $74,000. In the UK, according to the graduate careers website Prospects, starting salaries for web designers are £18,000 – £24,000 and with four to six years of experience £24,000 – £40,000. This is a hard career to enter and progress within because web design is a credence good — it’s hard for clients to tell whether your design is good. Since the quality of work is hard to measure, to prove yourself you need to build up a portfolio of many impressive clients, which gives you social proof and acts as evidence of your design skills. But getting there takes time, and it can be a bit of a catch 22 situation: you need to have an existing portfolio to be able to get clients, but to build up a portfolio you already need to have had some previous clients. This also means that it’s really important to have good persuasion and negotiation skills, and charisma to be able to get well-paid jobs and get promotions or if you go down the freelance route, to gets lots of money. You really care about web design; you’ve already put in the time to develop good taste in design; you’ve dabbled in programming. You are good at persuasion and negotiation. You have high self-discipline and solid time management skills as many web designers start as freelancers. Your visual skills are stronger than your quantitative skills. Web development wins over web design on most dimensions (salary, number of jobs, job growth rate, quality of work is easier to measure), so if that’s open to you, then focus on it. However it requires greater technical skills. 1. Learn basic design skills. The best online resource we found is HackDesign. The next best is SkilledUp’s list of best online graphic design courses for beginners. See a list of other courses and resources in our wiki. Make your personal website. What to include. Add projects. What to put in your portfolio if you haven’t had any paid clients. Read about the common parts of a designer interview, and how to do well in each part.